A Sudanese-Australian man was having trouble getting a job interview. So he sent out applications under a fake, white-sounding name — and callbacks started rolling in. According to News.com.au, Agnok Lueth had applied for over 1,000 jobs that matched his qualifications, but hadn't gotten a bite. Then he decided to send out six resumes as "Daniel McLean." Presto! He got five callbacks. None of these led to an interview, and if he had been hired, Lueth probably would have had trouble drawing a paycheck under a fake name. Nonetheless, his experiment does appear to reveal some racism inherent in Australian hiring policies. A much larger experiment conducted in the US revealed similar discrimination. Researchers sent out over 5,000 resumes, some with stereotypically black-sounding names, and some with stereotypically white-sounding ones. 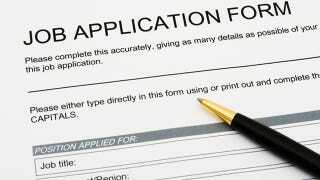 They found that "job applicants with white names needed to send about 10 resumes to get one callback; those with African-American names needed to send around 15 resumes to get one callback." What's more, improved credentials had more of an effect on the fate of white-sounding applicants than of black-sounding ones — while people named Greg could look forward to more callbacks if they had more experience, the same wasn't necessarily the case for people named Jamal. At least for one man, the same is true in Australia. Says Graeme Innes of the Australian Human Rights Commission, "Unfortunately, there are elements of racism in our community and there are definitely people in Australia who make employment decisions on a racist bias." Australian employment law prohibits discrimination on the basis of "race, colour, descent or national or ethnic origin." By extension, it's presumably illegal to discriminate against someone because his name sounds foreign. But it's pretty clearly happening, and stopping it will require tougher enforcement as well as a willingness on the part of employers to take a hard look at their own biases. By drawing attention to the problem, Lueth has made an important start.